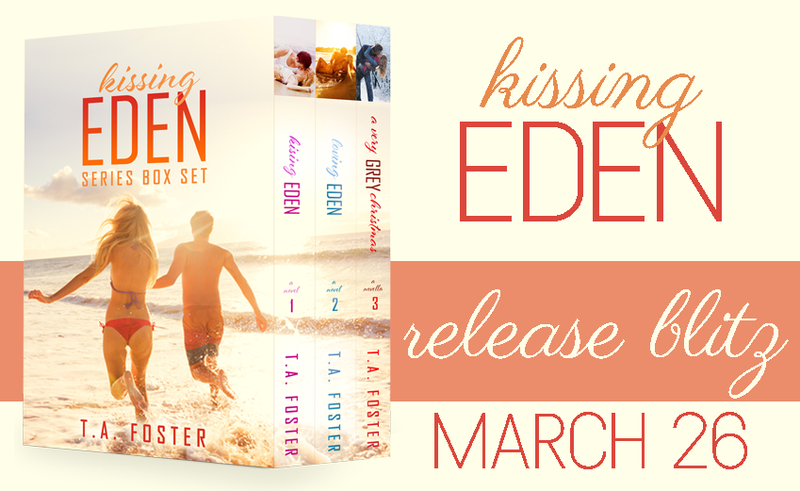 Today is the release day for the KISSING EDEN Box Set by T.A. Foster! 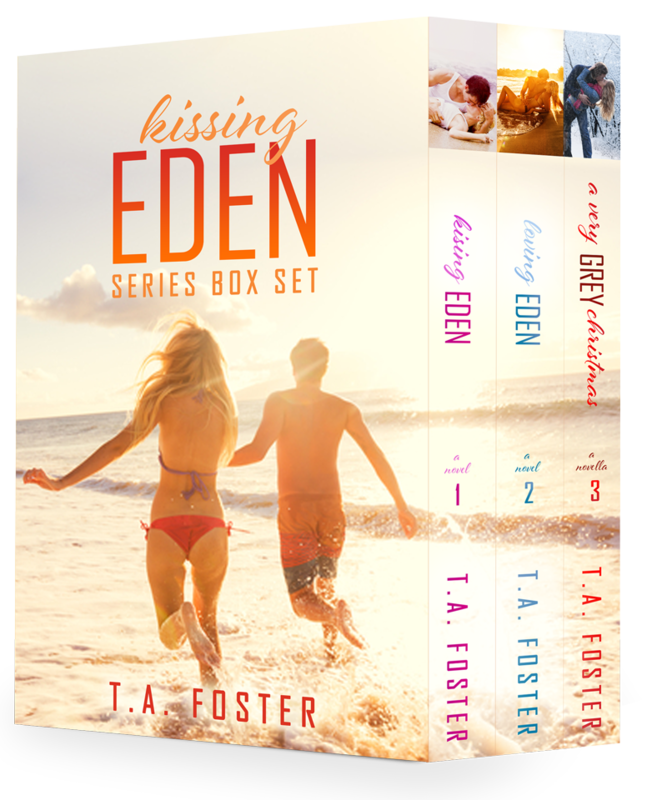 This set includes the full-­length novels Kissing Eden, Loving Eden, and the novella A Very Grey Christmas. Be sure to check out the contest below. 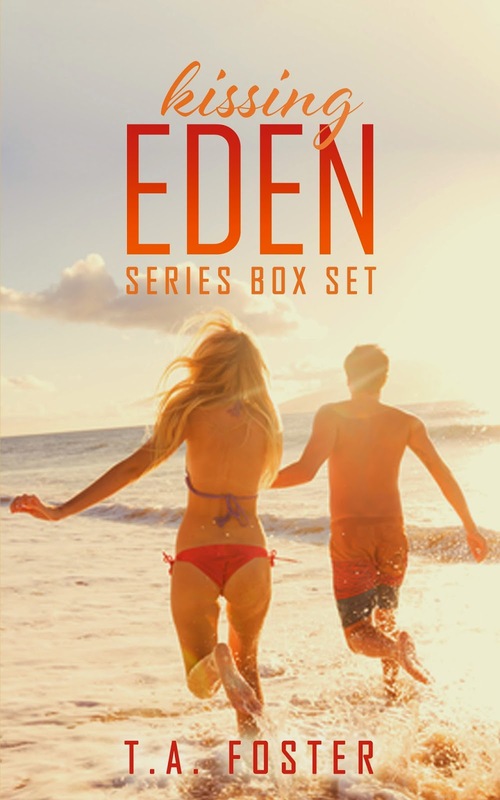 Get swept up in spring break fever in South Padre, Texas with Eden and Grey.Set contains two full­length novels and one novella. Have you ever thought of taking a vacation alone? I mean step on a plane, check into your hotel, and lie on the beach completely and utterly alone. No? Me either, but then right before senior spring break I got dumped. Something about break ups makes you do things you didn’t want to do, and try things you didn’t know you were capable of. That’s how I ended up at the Palm Palace.That’s how I met Grey. That’s how my spring break turned into the most unforgettable week of my life. Have you ever thought of packing up everything you own and moving halfway across the country?I’m talking about leaving your entire life behind—friends, family, school—with no turning back. No? Me either, but that was before a week of spring break changed my life forever. Before I did something I never thought I’d do at twenty-­two. Before I fell in love with Grey.Sometimes happily ever after isn’t always what you think it will be. I was getting ready to spend the single most important holiday of the year alone. Completely and utterly alone.That meant he wouldn’t be there Christmas Eve. No making Christmas cookies, or listening to my dad sing off­ key while my mom bustled around wrapping last ­minute gifts. No decorating the tree. No midnight Christmas kiss. No waking up in Grey’s arms. We were actually going to spend our very first Christmas in different states. That was until Grey gave me the most unexpected gift of my life. a Rafflecopter giveaway T.A. Foster once spent a month long spring break on South Padre Island, where she soaked in the Texas sun, beach, and learned what real Texas country music is. Sometimes fiction does spring from reality.She grew up catching rays and chasing waves along the North Carolina Outer Banks and now resides in the state with her adventurous pilot husband, two children, and two canine kiddos.T.A. has an undergraduate degree in Journalism and Mass Communication from the University of North Carolina at Chapel Hill and a graduate degree in Educational Psychology from Texas A&M University. 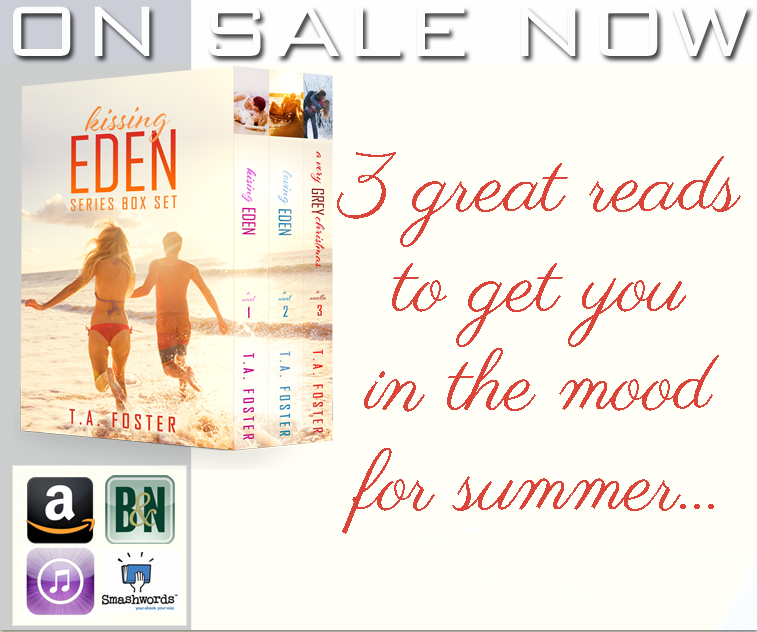 When she’s not chasing her two-­legged and four­-legged children or trying to escape for date night, you can find her reading, writing, or planning her next beach trip.